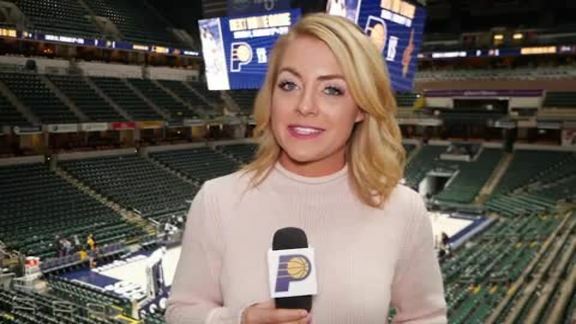 February 7, 2019 - Pacers.com's Katie Hargitt breaks down a game filled with blocks and bats, as the Pacers dispatched the Clippers in another blowout win on Thursday night at Bankers Life Fieldhouse. 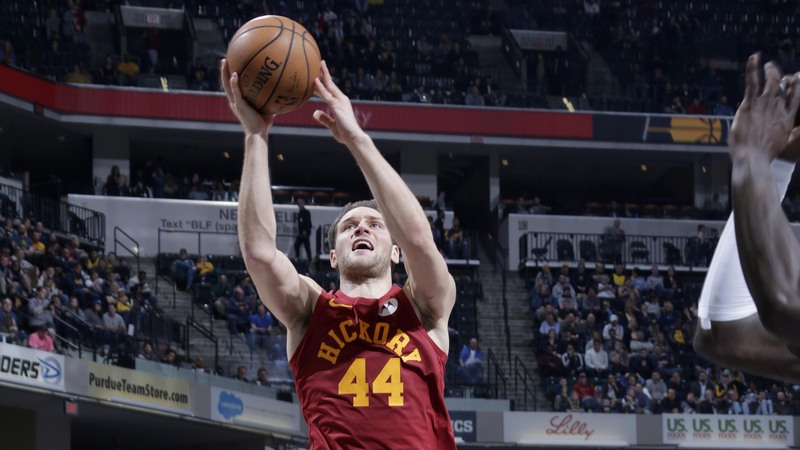 February 7, 2019 - Pacers players Myles Turner, Bojan Bogdanovic, and Darren Collison discussed Indiana's 116-92 victory over the Los Angeles Clippers on Thursday night at Bankers Life Fieldhouse. 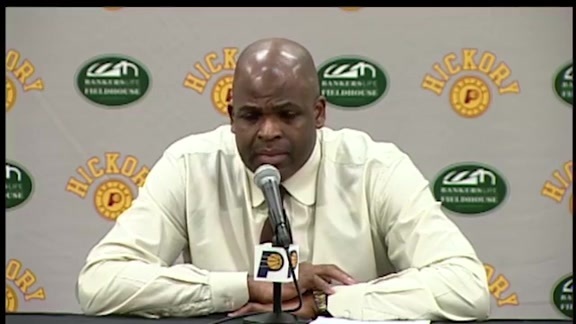 February 7, 2019 - Pacers head coach Nate McMillan spoke with the media following Indiana's 116-92 win over the Los Angeles Clippers on Thursday night at Bankers Life Fieldhouse. Two nights after crushing the Lakers in a 42-point rout, the Pacers defeated Los Angeles' other NBA franchise in similarly convincing fashion. 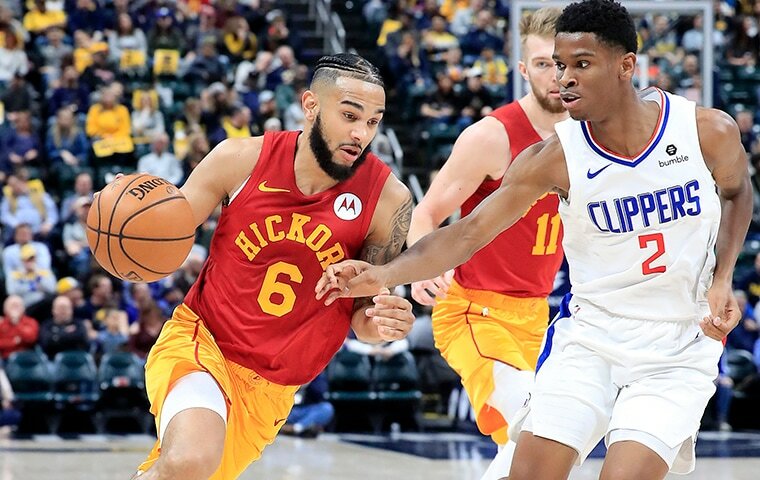 Indiana (36-19) rolled to its fourth straight win, easily handling the shorthanded Clippers (30-26) on Thursday night at Bankers Life Fieldhouse, 116-92. Bojan Bogdanovic led all scorers with 29 points in the victory, going 12-for-19 from the field and 3-for-6 from 3-point range while also pulling down six rebounds. Myles Turner and Thaddeus Young, meanwhile, were two-way forces. Turner had 17 points on 7-of-8 shooting (3-of-3 from 3-point range) while tying career highs with four steals and six blocks. And two nights after coming within two assists of his first career triple-double, Young again stuffed the stat sheet, finishing with 14 points, five rebounds, four assists, and five steals in just 23 minutes. Despite having just 10 active players after making a flurry of trades before Thursday's afternoon deadline, the Clippers got off to a strong start. The visitors made their first 11 shots on Thursday, but the Pacers hung close thanks to five Los Angeles turnovers over that stretch and some hot shooting of their own. Indiana eventually moved in front, going 16-for-23 from the field in the opening frame and getting nine points from center Turner while taking a 36-31 lead into the second quarter. Even an unexpected delay didn't slow down either team in the first quarter. A rogue bat made its way down to the court, causing the referees to stop play with 6:39 remaining as staffers did their best to chase the winged creature out of the building. "I didn't even know Indiana had bats," Turner said after the game. 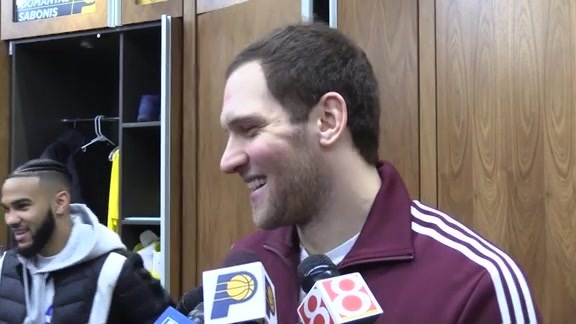 "That was probably the best part of the game," Bogdanovic joked. The Blue & Gold opened up the game with a 13-0 run midway through the second quarter. The sequence featured a Turner 3-pointer and Young dunk before being capped by back-to-back threes from Bogdanovic, sending the home crowd into its first non-bat frenzy of the night. "We've got a good thing going on the offensive end," point guard Darren Collison said after the win. "We're making shots. (It's) not necessarily something you want to rely on, but when you're making shots you want to keep that momentum going. "But I think most importantly our defense has been contagious." Indiana shot 66 percent from the field and scored a season-high 71 in the first half, taking an 18-point lead into halftime. The lead continued to grow after the break, as the Pacers extended their advantage to as many as 27 points in the third quarter. The only real drama of the third quarter was the bat's brief return to floor level, causing another brief delay before it ascended back up into its bat-cave in the rafters of The Fieldhouse. The outcome was all but decided by the time the quarter buzzer sounded, with the hosts holding a 98-73 advantage. Bogdanovic was the only starter to see the court in the fourth quarter as the Blue & Gold cruised to another victory. Collison and Cory Joseph were the final two Pacers players to reach double figures. Collison had 14 points and five assists, while Joseph added 13 points, nine rebounds, and six assists off the bench. Montrezl Harrell led the Clippers with 19 points on 9-of-13 shooting and four rebounds. Danilo Gallinari added 12 points and five rebounds in the loss. The Pacers continue a five-game homestand on Saturday night, when they welcome the Cleveland Cavaliers to The Fieldhouse. Indiana also hosts Charlotte and Milwaukee next week before the NBA All-Star break. Bogdanovic topped 20 points for the 18th time this season and the fourth time in his last five games. Turner blocked six shots for the fourth time in his career and the second time this season (he also had six blocks in a win at Chicago on Nov. 2). His four steals matched his career high set against Boston on Nov. 12, 2016. Indiana outscored the Clippers 64-50 in points in the paint and 24-5 in fastbreak points. The Pacers forced Los Angeles into 21 turnovers, which they converted into 34 points. The Blue & Gold committed 19 turnovers themselves, but they only led to 10 points for the Clippers. With Turner leading the way, the Pacers set a season high with 12 blocks. The Pacers went 31-for-47 from the field over the first two quarters on their way to a season-high 71 first-half points. The Pacers have won their last five games against the Clippers. Los Angeles' last win over Indiana came on Jan. 26, 2016. On Wednesday, the Clippers traded leading scorer Tobias Harris, Boban Marjanovic, and Mike Scott to Philadelphia for Wilson Chandler, Landry Shamet, and Mike Muscala. Then on Thursday, they traded Avery Bradley to Memphis for JaMychal Green and Garrett Temple and Muscala to the Lakers for Michael Beasley and Ivica Zubac. They subsequently waived Zubac, Marcin Gortat, and Milos Teodosic. Indiana and the Clippers will meet again in Los Angeles on March 19. Thursday's game was a Hickory Night at Bankers Life Fieldhouse. The two winningest active boys high school basketball coaches, Bloomington South's J.R. Holmes and Lawrence North's Jack Keefer, and the winningest girls coach, Donna Cheatham of Scottsburg, were honored at halftime.